User interface (UI) prototyping and scenario engineering have become popular techniques. 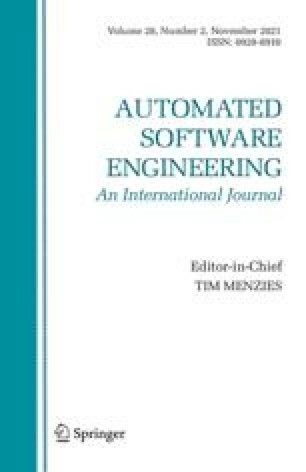 Yet, the transition from scenario to formal specifications and the generation of UI code is still ill-defined and essentially a manual task, and the two techniques lack integration in the overall requirements engineering process. In this paper, we suggest an approach for requirements engineering that generates a user interface prototype from scenarios and yields a formal specification of the application. Scenarios are acquired in the form of collaboration diagrams as defined by the Unified Modeling Language (UML), and are enriched with user interface (UI) information. These diagrams are automatically transformed into UML Statechart specifications of the UI objects involved. From the set of obtained specifications, a UI prototype is generated that is embedded in a UI builder environment for further refinement. Based on end user feedback, the collaboration diagrams and the UI prototype may be iteratively refined, and the result of the overall process is a specification consisting of the Statechart diagrams of all the objects involved, together with the generated and refined prototype of the UI. The algorithms underlying this process have been implemented and exercised on a number of examples. This research was mainly conducted at University of Montreal, where the first two authors were PhD students and the third author a full-time faculty member. Funding was provided in part by FCAR (Fonds pour la formation des chercheurs et l'aide à la recherche au Québec) and by the SPOOL project organized by CSER (Consortium Software Engineering Research) which is funded by Bell Canada, NSERC (Natural Sciences and Research Council of Canada), and NRC (National Research Council Canada). Rationale Rose RealTime: Rationale Inc. http://www.rational.com/products/rosert. Rational Software Corporation, Rational Rose, Santa Clara, CA. http://www.rational.com. SUIP. Scenario-based User Interface Prototyping. http://www.iro.umontreal.ca/labs/gelo/suip.